Read Mind on Movies review of Flower. After being gone for a decade a country star returns home to the love he left behind. Flower is in theaters on March 16th, 2018. 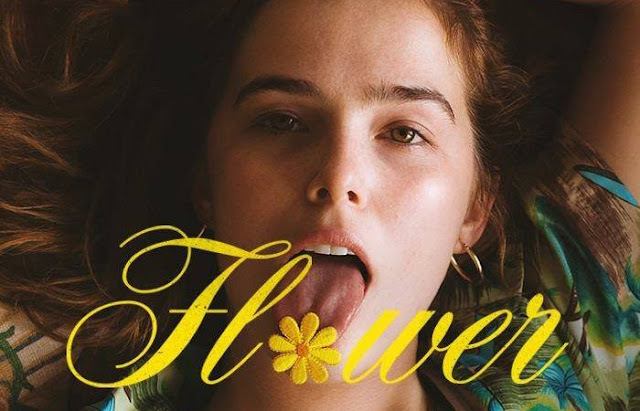 A coming of age story where the protagonists act well beyond their age, Flower brings a unique twist to the genre with some much-appreciated black comedy. Its twisted scenarios set the film apart, making it both hilarious and edgy. An entrepreneurial 17-year old high school student (Zoey Deutch) makes money in her free time by fellating older men and blackmailing them with her friends for everything they’re worth, which is usually much less than one might expect. Her and her mother (Kathyrn Hahn) are expanding their family as her mother’s new boyfriend (Tim Heidecker) is moving in with his son (Joey Morgan) who is just out of rehab. 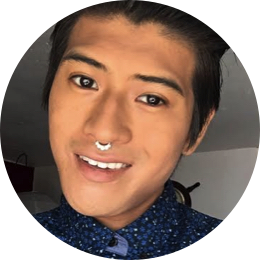 Fighting depression and weight issues, her future step brother upends her life when he reveals that his teacher had sexually assaulted him years before. Putting her extracurricular activities to good use, the teenage girl decides to blackmail his assaulter, which ends up working out very differently than she had originally expected. Flower is extraordinarily crass and is unafraid to push boundaries. Consistently offering blowjobs to her future step brother and drawing penises in her notebook, the protagonist should be seen as both deranged and unsympathetic, but Zoey Deutch’s performance is able to turn an unlikeable character into an over-the- top and hilarious caricature. Her performance and delivery of her lines is probably the most refreshing part of the film and is what makes it such a captivating watch. She is able to turn a horrendous character into someone you root for and can laugh along with. Although nothing in the film is remotely believable, it has enough elements of reality and youth to avoid feeling wholly unrelatable. It is also quick, witty, and fresh. Despite its over-the- top raunchiness, the first two acts of the film borderline on great with a hilarious sense of humor and magnetic charm. Where the film falls flat is in trying to deepen its premise. Turning a selfish, difficult character into a multifaceted character who embarks on a profound journey to discover herself is difficult, Flower is just not the right film for this character arc. The movie sets its ambitions too high and falls far too low as it attempts to add tonal depth and emotional weight. The last act feels almost entirely separate from the first two, and its ending feels tacked on and rushed. It would have succeeded much more if it had kept consistent with its badass, grounded roots that it started with. Flower is a hilarious film that deserved a cohesive, tighter ending. It unnecessarily attempted to add emotional depth in a film that succeeded because of its over-the- top carelessness. Featuring some fantastic and hilarious dialogue and writing, Flower remains a fantastically funny film, but it leaves disappointment in what could have been a truly great film.